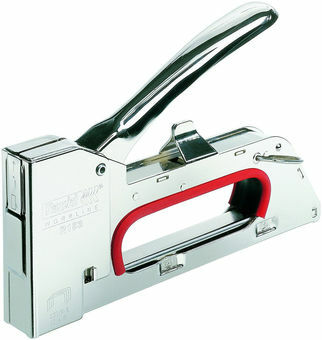 A light, easy to use metal staple gun ideal for demanding, professional jobs and precision operation. Superior performance and working life mean the R153E can easily handle regular use. This model is perfect for users with smaller hands and can be applied to diverse tasks including furniture upholstery or fastening of thinner fabrics, leather, paper, labels or sensitive textiles.